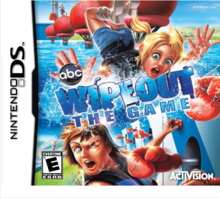 Note: Copy any of the above Wipeout: The Game (USA) rom download links and paste it into your browser to download. its not working on a r4 card ,what's the problem? Works fine on my r4 (original) + wood v1.08 (BRAZIL PENTACAMPEAO). all of these don't work- plz fix cause i wanna try this game out! All links are working, please check again!